Home Drinking Cocktails Is Our Social Media Obsession Ruining the Bar Experience? No bartenders were offended in the making of this picture. This was social media phenoms HC So and Mike Prasad at a booze sponsored event. Back in the “good, old days” (aka before the smartphone) bars used to be a community space where groups of friends met up and where singles mingled. People actually studied up on body language before going to bars so they would be able to tell if someone was receptive to them. This was also where you went to be alone for a little bit to contemplate with a drink. And if you were lucky, everyone there even knew your name. But that social landscape is fast becoming a relic thanks to the mass addiction to smartphones and social media. In today’s bars the main source of light isn’t from candles but smartphones. 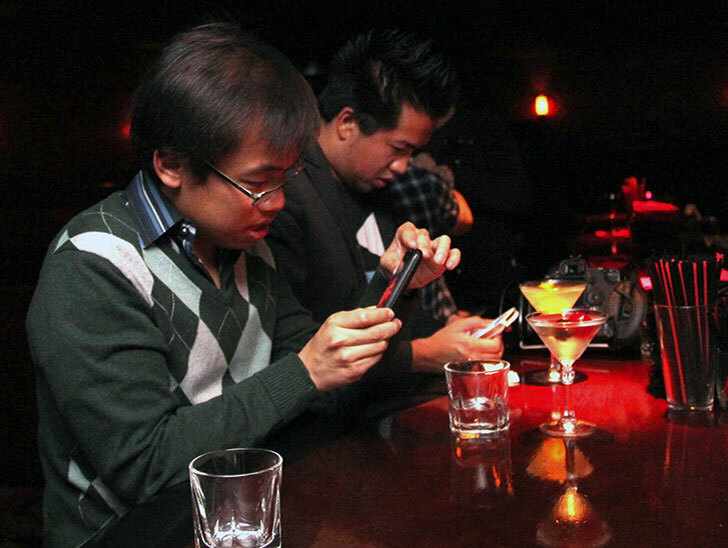 A quiet drink alone is now a time for catching up on emails or Facebook. That glow from the smartphone has inadvertently become a wall signaling others you want to be left alone, whether that really is the case or not. For those who remember what bars were like before the iPhone, this is all a bit sad. But for those who embrace social media, it’s a way of sharing an experience with not just those in the bar but with friends online. And a lot of watering holes are beginning to welcome smartphones because of that. Places like Far Bar in Little Tokyo encourage you to tag them when sharing. Westbound in downtown built a shelf under its bar ledge equipped with a USB port for guests to charge their phones. Plus we can thank social media for all those photogenic and elaborate cocktail presentations. 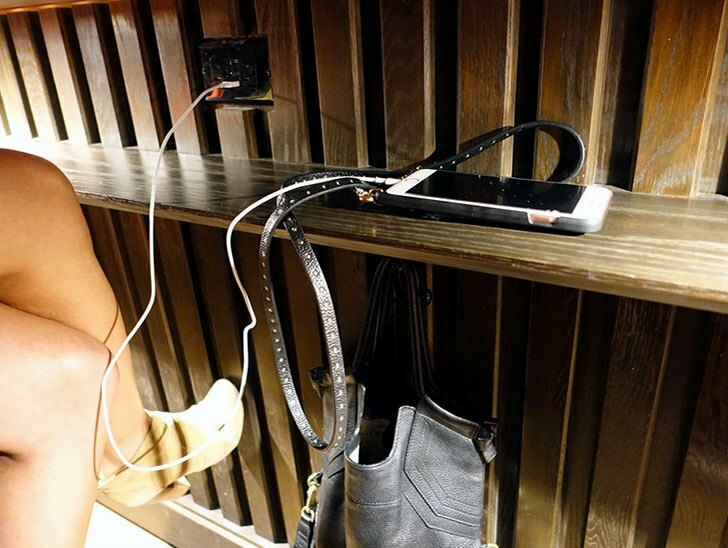 Westbound has a spot to charge your phone. 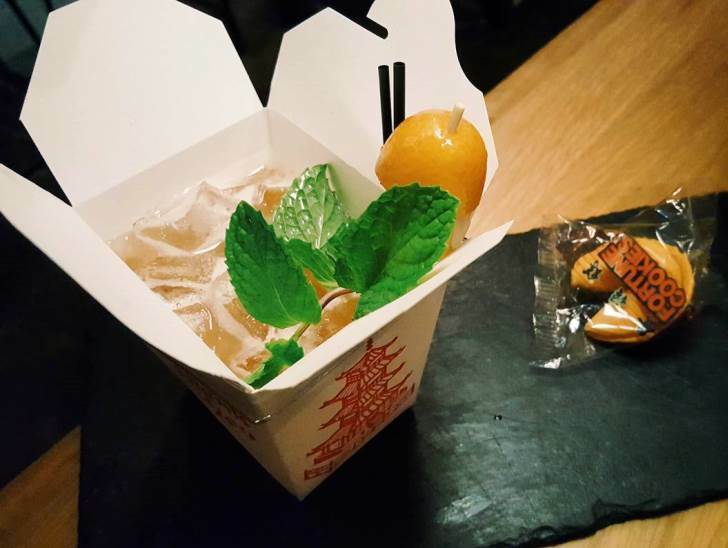 You can thank social media for making cocktail presentations more elaborate.